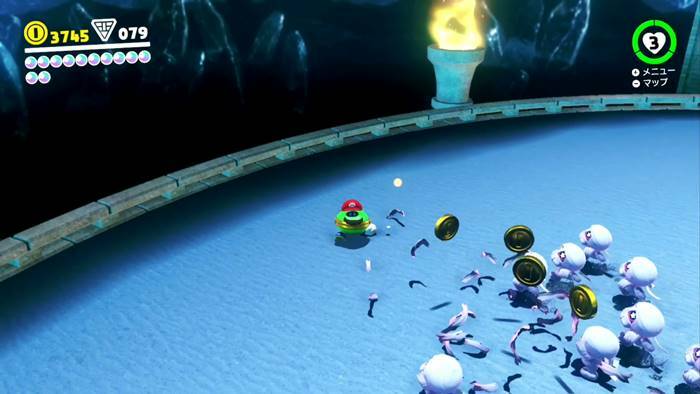 Gold Coins in Super Mario Odyssey allow you to purchase many useful items. This is a guide on how to infinitely farm Gold Coins in the game. 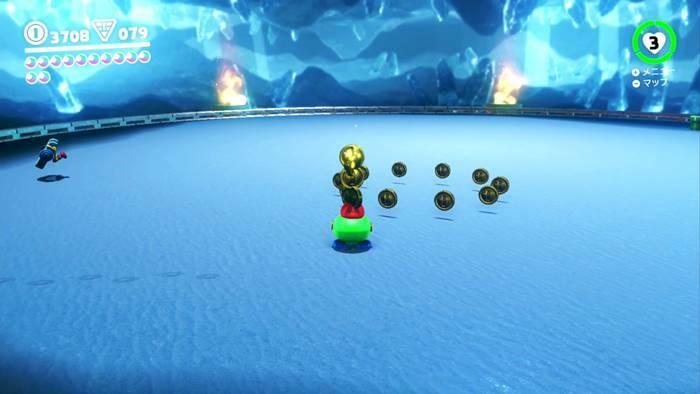 You can easily farm an infinite amount of gold coins after defeating the Sand Kingdom‘s second boss Knucklotec. Head to Knucklotec’s boss area. There will be a Coin Coffer there that you can capture to earn 30 gold coins. As a Coin Coffer, you can attack the skeleton enemies in the area by spitting coins at them. Defeating enemies with the attack has a small chance of yielding gold coins. Since the skeletons will indefinitely spawn, you can continue defeating them to grind as much coin as you want in the area. If you are low on health, you can get a transparent healing Power Moon from a glowing Skeleton by defeating it. If you have maximum health, you will get coins instead. The Coin Coffer spits out a coin in a straight line, so attacking the skeletons when they are bunched up is the most efficient way to earn coins. If there is just one skeleton in front of you, jump on it to save coins. 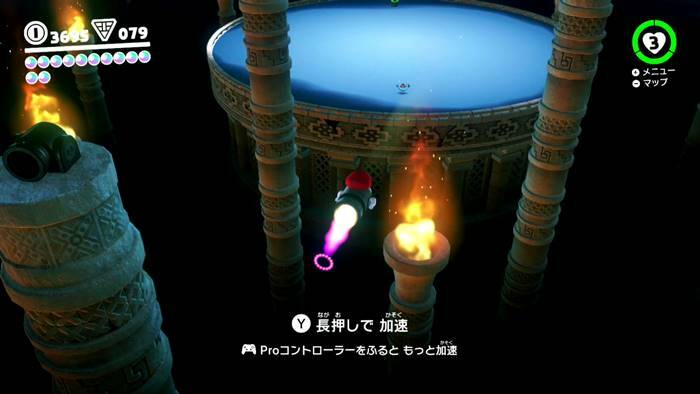 Also note that the Coin Coffer doesn’t move very fast, making it easy for the enemies to overwhelm you. Be sure to position yourself well and avoid being surrounded. You can also jump around to move only slightly faster.